In June 2013, documents leaked by Edward Snowden sparked widespread debate about secret government surveillance of Americans. Just over a year later, the shooting of Michael Brown, a black teenager in Ferguson, Missouri, set off protests and triggered concern about militarization and discriminatory policing. In Unwarranted, Barry Friedman argues that these two seemingly disparate events are connected-and that the problem is not so much the policing agencies as it is the rest of us. We allow these agencies to operate in secret and to decide how to police us, rather than calling the shots ourselves. The courts have let us down entirely. 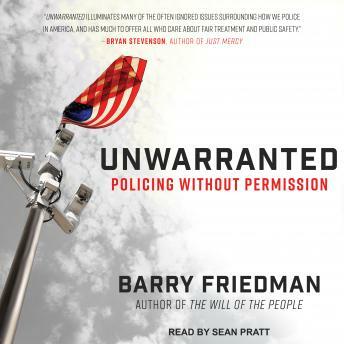 Unwarranted is filled with stories of ordinary people whose lives were sundered by policing gone awry. Driven by technology, policing has changed dramatically from cops seeking out bad guys, to mass surveillance of all of society-backed by an increasingly militarized capability. Friedman captures this new eerie environment in which CCTV, location tracking, and predictive policing has made us all suspects, while proliferating SWAT teams and increased use of force puts everyone at risk.